Home / The Archives / Need some rubber for protection? Let’s say your commuter bike is not just some Wally World special, but its actually a piece of engineering art, and its expensive and you like the paint job. 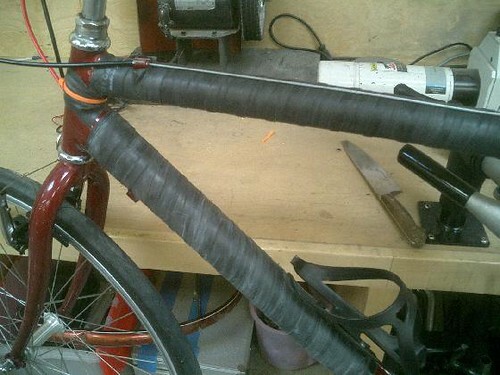 Well you’re in luck pal, the folks at Instructables came up with a way to protect your bike from the daily abuses of your commute, and heck it makes it even look ugly, thus making it less attractive to thieves.